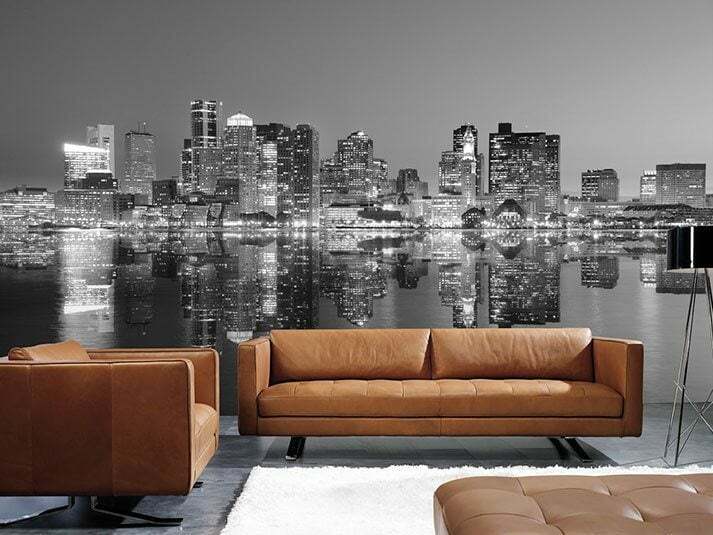 Our custom wallpaper printing service allows you to create amazing mural and whole wall art installations for your clients. Receptions can have dramatic floor to ceiling imagery, restaurants can have themed walls and retail environments can have branded graphics. Our printed wallpaper is as robust, easy-to-apply and colourfast as premium off-the-roll wallpaper. The ink is light-fast and the finished product is washable. Your own designs and artwork printed onto our premium pastable wallpaper! Superb for landscapes, giant maps, masterpieces or simple corporate branding. Easy to install just like normal wallpaper with a wipe-clean finish. Enter the dimensions of the wall you wish to cover for an instant price. Printed wallpaper is supplied in strips.